​ “People who don’t manage stress well can have headaches, stomach pain, sleeping problems, illness, and depression.” - Web MD. Stress can also be exhibited as feelings of anger, depression, dizziness, fatigue, headaches, high blood pressure, indigestion, insomnia, rejection, or ulcers –– many of which are symptoms of adrenal fatigue. ​We all experience stress at one stage or another. It can be caused by our professional or personal lives, and each individual will cope with it differently. What one person may regard as highly stressful, another person may regard as highly motivational. Problems occur when individuals perceive themselves as unable to cope with the level of stress they face. This can then impact both their mental and physical health. 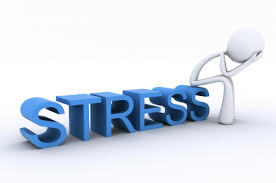 Hypnotherapy for stress can start to work in a few sessions, but it entirely depends on your reaction to the therapy. After attending a number of sessions, you may start to feel more relaxed and confident in the situations that previously caused you to feel stressed. Hypnotherapy has emerged as a credible, evidence-based treatment option for sufferers of PTSD and other forms of trauma and anxiety. Hypnotherapy in large part deals with unlocking the subconscious mind. We must emphasize here that the main tools of the conscious mind are rational thinking, analyzing and judging. In contrast, the gifts of the subconscious mind are all located within our senses. The subconscious mind is a huge sensory vehicle consisting of the ability to experience our world through our senses: sounds, smells, tastes, visuals or pictures, and/or feelings. One way to locate what is stored in our subconscious in order to help an individual suffering from PTSD is to understand what triggers the stress. We address the stress not by focusing on the past but by re-framing the trauma, taking a new look at it from a different perspective and moving forward with the knowledge that we can manage our stress. By using trauma hypnotherapy we regress to the cause as an observer and look at it with a fresh view. A view where we can change it from being stressful to manageable. Trauma hypnotherapy can greatly reduce and even resolve the symptoms of PTSD, releasing you from the emotional memory of the trauma and giving you back your freedom. Cognitive Hypnotherapy for Trauma treatment and PTSD hypnosis is a safe, powerful and effective way to resolve trauma and free you from the continued effects of past traumas, whether they are physical, sexual, emotional or psychological. I work with you at your pace, and you always in control. At my consulting room, you are completely safe to discuss your issue with me in a non-judgmental environment where all treatment is strictly confidential.